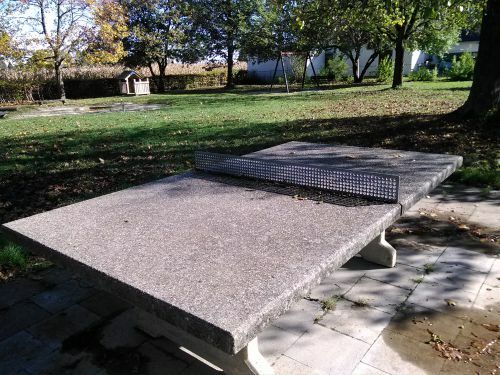 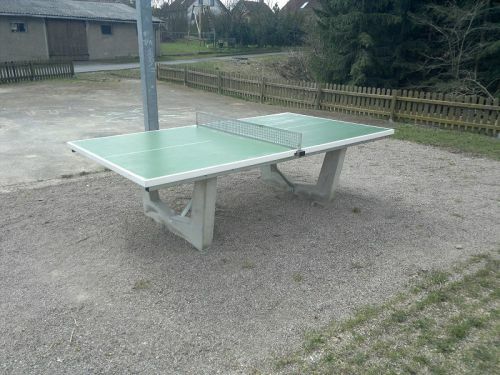 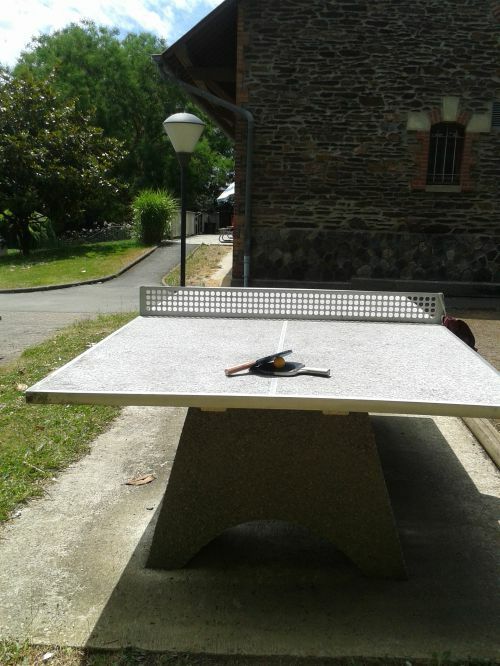 Une table de ping pong en béton et filet en métal. 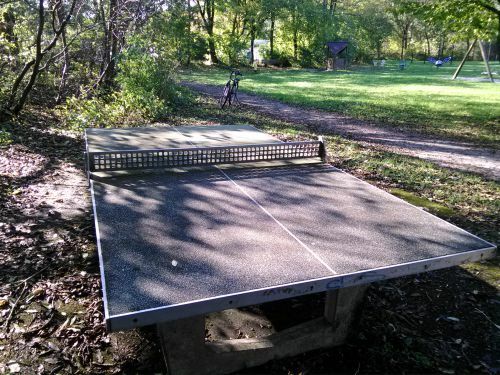 One ping pong table in stone with metal net. 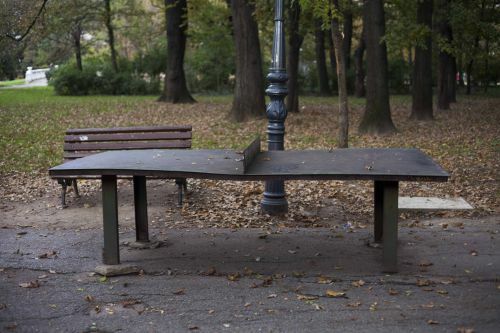 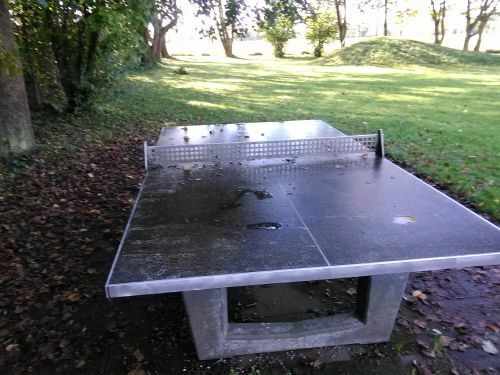 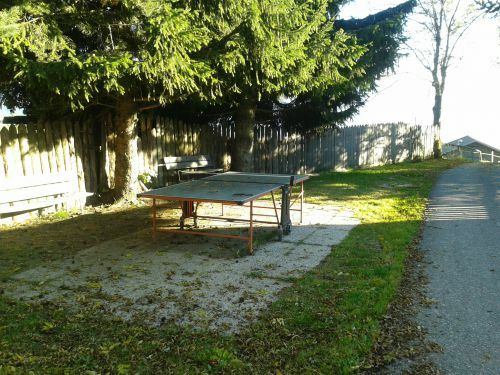 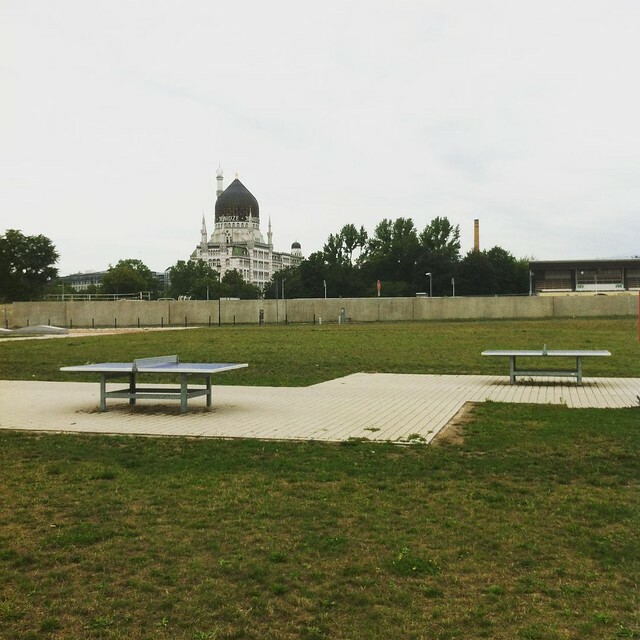 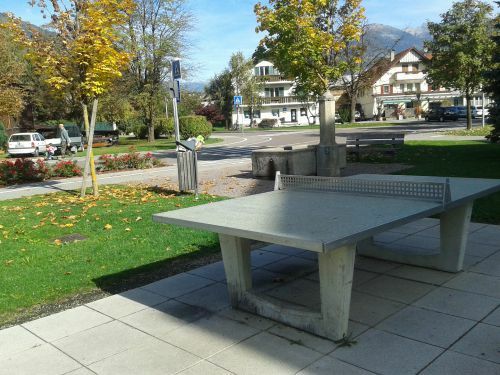 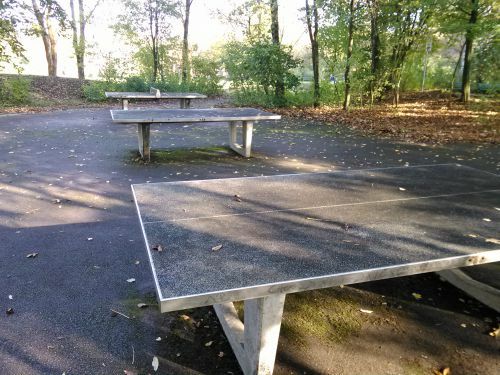 One ping pong table near the children play ground. 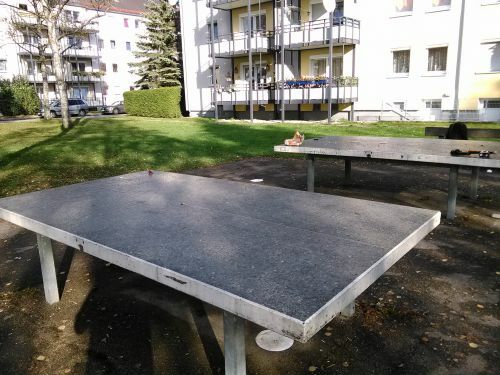 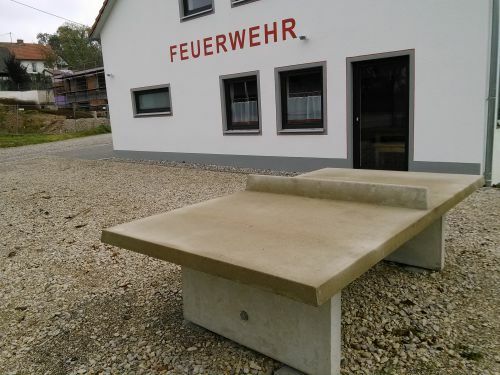 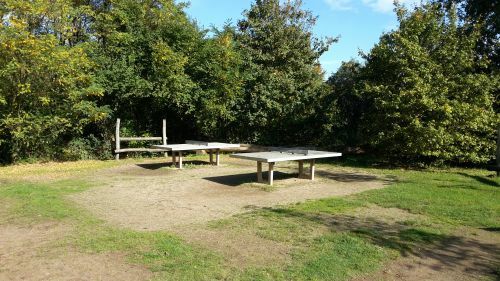 One steel table, very uneven, on a slope, moveable. 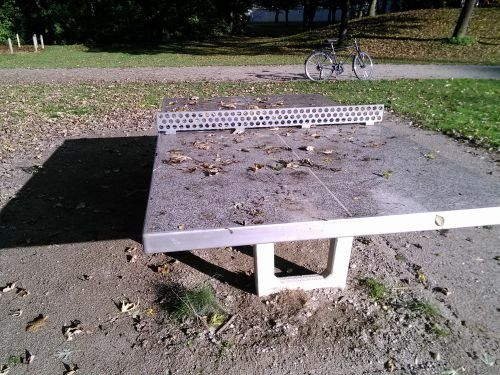 Cyclists passing by, ok for night play.